On my To-Do List for nearly forever has been creating a gluten-free vegan recipe for my favorite childhood birthday treat- a fresh and fragrant orange cake with orange creme frosting. Since it isn’t my birthday until June, I decided to experiment with making cupcakes instead of a traditional layer cake. I had such a good time in the kitchen this week making these sweet little gems. 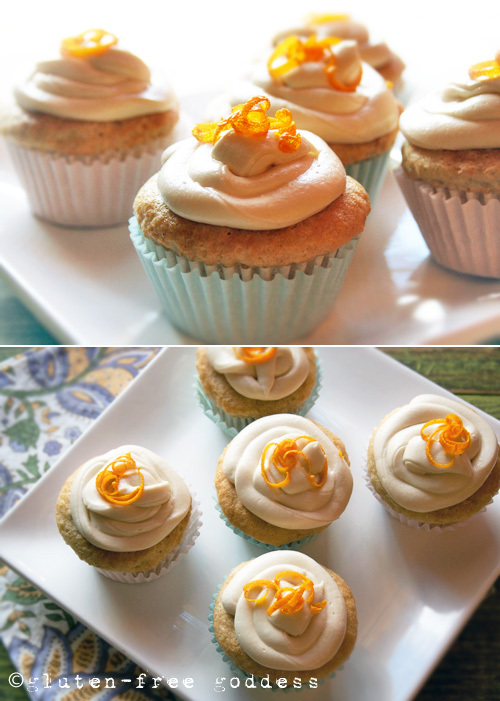 In fact, I’ll be working on more recipes for vegan cupcakes in the near future, including basic vanilla cupcakes, and a few other tasty flavor combos. Now that I know how easy it is to bake delicious gluten-free vegan cupcakes, the sky’s the limit.